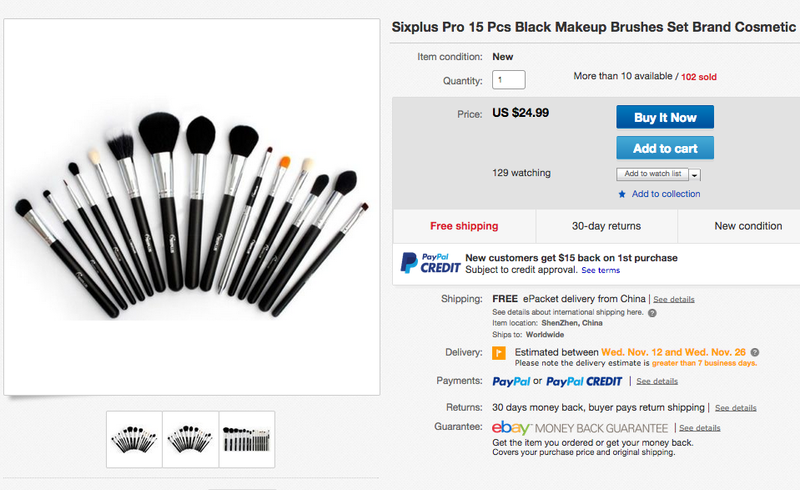 Sigma Premium Make-Up Brush Kit DUPE! $24.99 for the SET! I’m coming to you guys today with yet another fabulous find! You know I’m always on the hunt for affordable brushes. 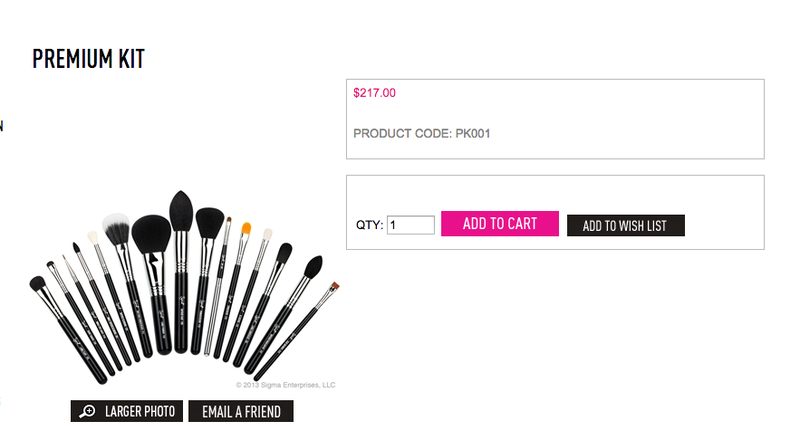 I mean, one MAC brush can range from $16- $50+ dollars each. Even though I find a lot of these places that make the “same” brush sets as the leading brands ie; Sigma and Sedona Lace and MAC, they aren’t always the same quality. Just like there are replicas of designer hand bags, there are fake/ no name brush sets. Finding one exactly like the original is the goal, but sometimes you’re lucky to get close. I would say with this set, I got lucky again. Here is the dupe set made by SixPlus. This set cost me $24.99 with free shipping from China and they took 3 weeks to arrive. The good thing about eBay and Paypal, I know that if I take my chances on something like this, and it doesn’t arrive…I can easily file a claim and get my money back. I received mine so no worries. I just wanted to explain that for those hesitant to buy. Here is MY Sixplus Set that arrived yesterday afternoon. For this price, I’d rather take my money to MAC. Sigma brushes aren’t terrible brushes, but after a while their age shows. They don’t take ware and tare well, and as makeup artists we need tools that will last a very long time. The link above is a link I can vouch for. I didn’t share it until my brushes arrived. So those of you who went ahead and found this set for cheaper from another link. I hope it arrives…and of good quality. Also, those of you who abuse these links to buy and resell for a crazy will be called out. So good luck. Now on to my review! The 2 blending brushes in the photo, again are not bad. The thing is…NOTHING compares to a 217. LOL I will add them to my kit, and I will use them. Are they as good as the 217….NAH! It’s just not dense enough. The hair on the brush feels really fake, unlike all the others. Every other brush to me is just fine. Let me know if you purchase them, and be sure to tag me on Instagram @AllThingsBee or @BeeWadeMUA when they arrive. Also, share with me your initial thoughts. Don’t forget to wash the brushes before you use them as well.